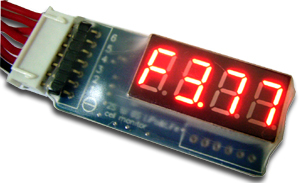 CHARGERY Battery Monitor BD6 is a lipo / Li-ION / LiFe battery voltage reader. it can be used in Charge, Discharge or as a battery checking tool at the field or in the workshop. 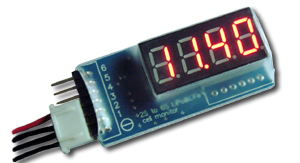 Anywhere, anytime you can monitor the cell voltage and battery balance status. 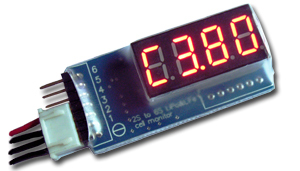 The unit includes reverse polarity detection, and displaying the voltage of each cell within the pack, the packs overall voltage and difference of cells voltage. It will also give an indication as to how charged (or discharged) the battery pack is.